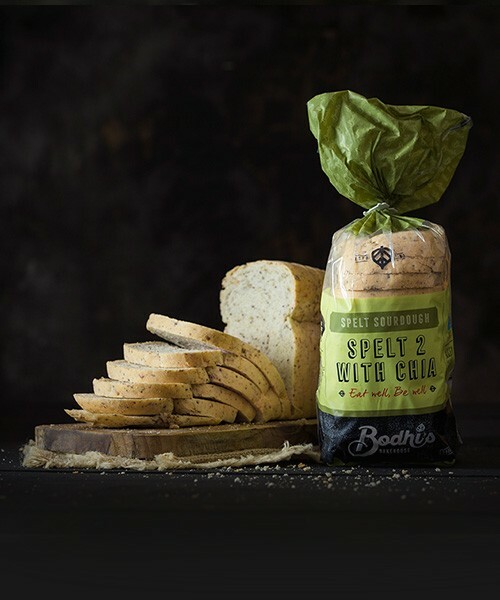 Spelt 2 loaf was created and developed through The Monash University Low FODMAP Certified™ program. 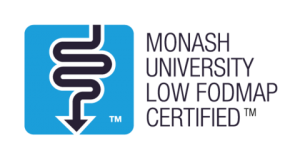 Spelt 2 loaf was created and developed through The Monash University Low FODMAP Certified™ program. 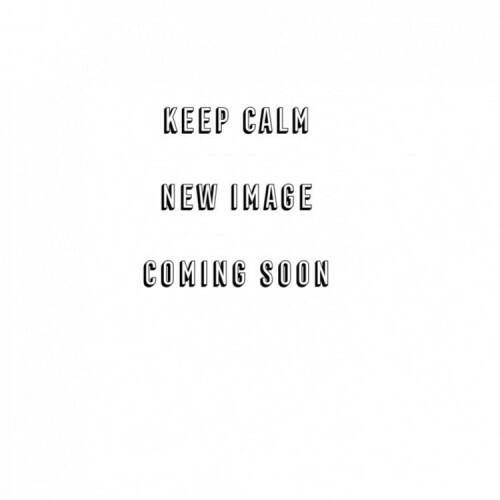 Irritable Bowel Syndrome (IBS) is a common gastrointestinal disorder characterised by lower abdominal pain, bloating, excessive wind, distension and altered bowel habit (diarrhoea and/or constipation). FODMAPs are carbohydrates that are poorly absorbed in the small intestine. IBS symptoms may be aggravated when FODMAP containing foods are consumed. 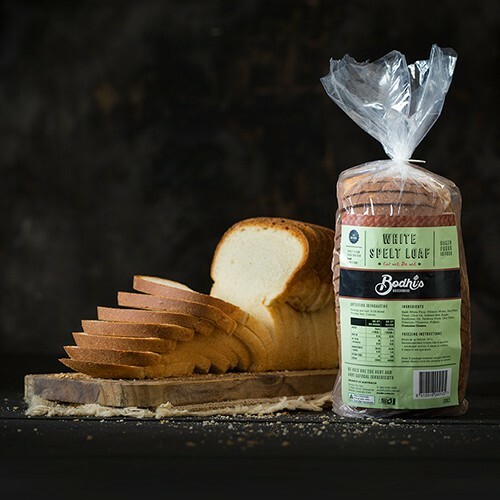 Monash University research has shown that in individuals with IBS, this bread is better tolerated than bread made using modern wheat. Good Source of fibres, proteins & natural vitamins and minerals. 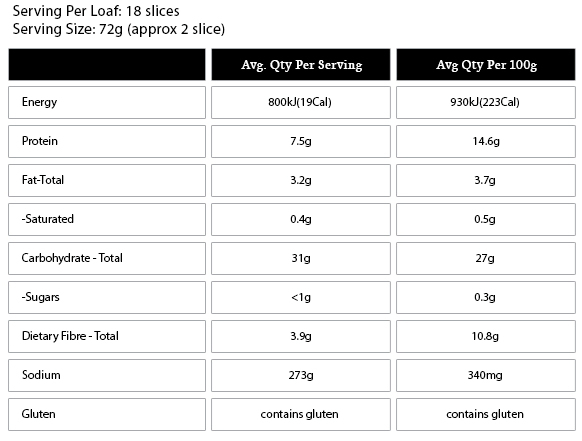 Eating slices of Spelt2 may help maintain better digestive balance by providing up to 30% of your daily fibre needs (wholegrain fibre). The bread is high in quality proteins. Many of our customers report, whilst spelt still contains gluten, it is much more tolerable and less irritable than wheat gluten. Spelt is an excellent source fo vitamin B2 and a good source of manganese, magnesium, niacin, thiamine and copper. 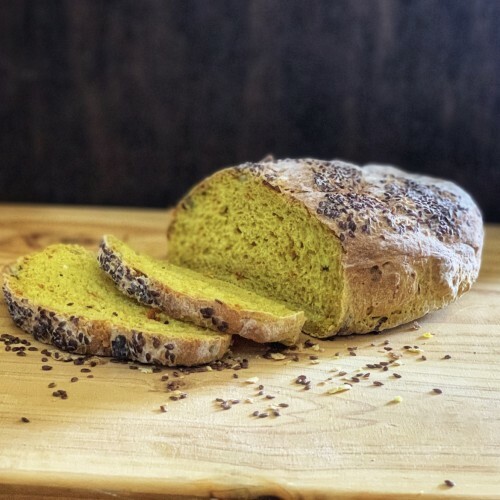 Water, Spelt Flour, Sour Dough (spelt flour, water, culture from naturally occurring bacteria and yeasts) Sunflower Seeds, Linseed Meal, Chia, Vegetable Oil (sunflower & olive) Iodised Salt, Vitamins (thiamine & folic acid).